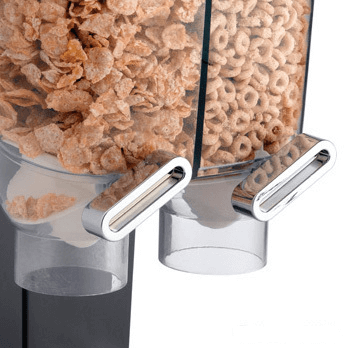 The Black Double Cereal/Topping Dispenser offers a simple solution for your needs. 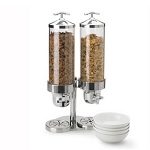 Whether on a breakfast buffet or in a yogurt shop these acrylic containers provide a clean, fresh way to show off your selections. 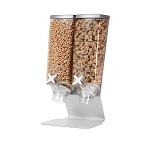 The advanced portion control mechanism on these dry food dispensers means less waste and mess. 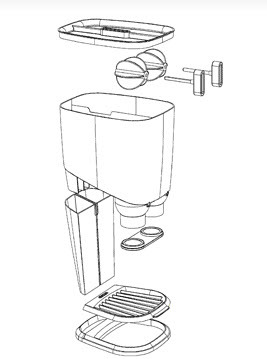 Available in black or white, this dispenser can match your establish décor. 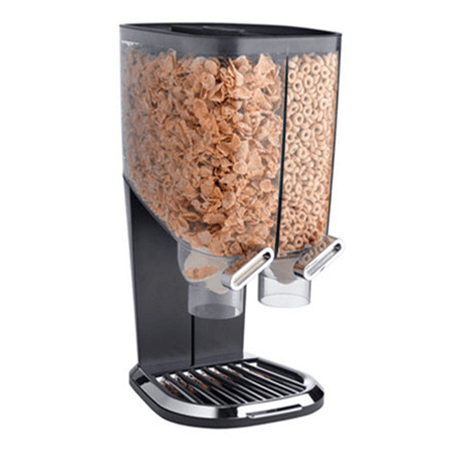 Give your customers a variety of selections from candy to coffee beans by adding several of these stylish dispensers to your place of business. Start your purchase now at All Candy Containers.